In the early 1990s, Yale researchers noticed that chronically depressed patients experienced almost immediate—if transitory—relief from symptoms after taking the pediatric anesthetic ketamine. 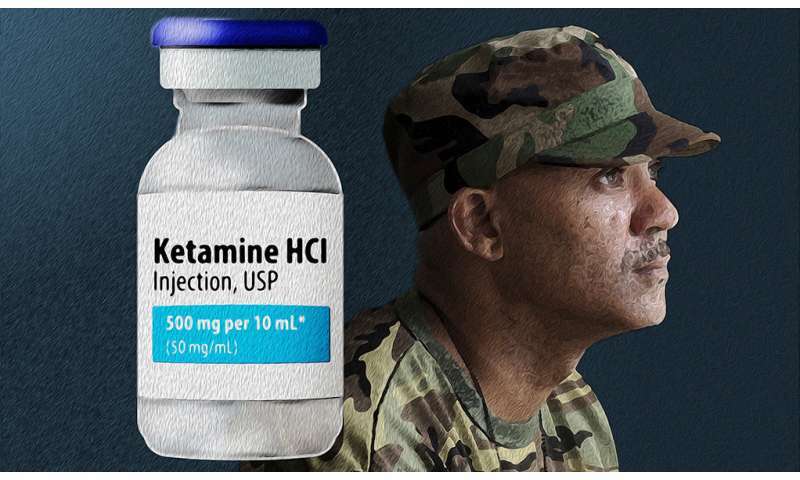 Their subsequent research has shown that ketamine, which is also abused as a party drug Special K, works on an entirely different neurotransmitter system as currently prescribed anti-depressants. The work at Yale opened up a revolution in the understanding of depression—which afflicts tens of millions of people worldwide. Now, Yale scientists are taking another leadership role in the use of ketamine in mental health treatments —urging caution about its indiscriminate use. "In a nutshell, I feel confident telling patients who have had little help from previous treatments that ketamine provides meaningful relief from some of their worst symptoms for at least a few days or even weeks,'' said Dr. Gerard Sanacora, professor of psychiatry and director of the Yale Depression Research Program. "But I can't tell them with any degree of certainty how long the benefit can be sustained or how safe it is to repeatedly administer the medication over periods of months or years." The observation about beneficial effects of ketamine were made at the Connecticut Mental Health Center by Dr. John Krystal, chair of the Department of Psychiatry at Yale and colleagues. Researchers have discovered that ketamine triggers release of the neurotransmitter glutamate, which in turn stimulates growth of synapses between brain cells. All anti-depressants today regulate the neurotransmitter serotonin. This insight has led to efforts to develop a new class of anti-depressants that can provide faster acting and safe treatments for depression. Clinical trials at Yale and elsewhere are ongoing to try to establish long-term efficacy, safety, and dosage guidelines for ketamine. And, as it happens, the beneficial effects of ketamine may not be limited to depression. Today, Krystal is investigating whether ketamine may help veterans suffering from severe post-traumatic stress disorder. "Our experience with ketamine has taught us that neuroscience research can transform our expectations for new treatments,'' Krystal said. "We were not searching for rapid-acting antidepressants when we found them. Changing the nature of treatment changes what it means to have depression."